I had the pleasure of interviewing Joseph Hoffman of Hoffman Academy for the podcast today. I hope you’ll listen to this excellent interview. I called him the Mister Rogers of piano lessons. First, let me say that I am not an affiliate for Hoffman Academy. I sought Joseph out for an interview because I am so thrilled to have found something that works for my children. I am not a trained piano teacher. I can play, but I know very little music theory. I would have had to spend a lot more time, that I didn’t have, learning how to teach. Lessons are expensive. I have three children ages 8, 10, and 11 whom I want to learn the piano (my oldest three took lessons from a teacher in our home several years ago). The price tag for in-home teaching would be $75 a week. Ouch. The other curriculum we’ve tried hasn’t worked. Either the video lessons were too hard for the kids or the book lessons were too hard for me to teach. More often than not, I put piano off in lieu of other subjects. I am learning piano. I can read music and play, but watching these lessons with my kids and playing the music provided in the supplemental materials is helping me see how everything fits together. I’m so excited about the next lesson that I no longer put it off. The format. I had purchased a DVD curriculum in the past that required buying a cheap portable DVD player to use at the piano. It soon broke. I love that these lessons are accessible online via our large TV (we like to watch the lesson together) and also via our iPad at the piano, so we can practice individually. The downloadable material (an optional purchase) was easy for me to copy and put in binders for the kids. The pace. 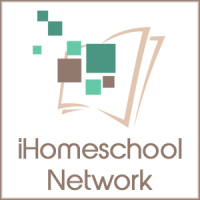 These lessons are perfect for my busy homeschooling family. Sometimes we just can’t do lessons. I don’t have to call the teacher to cancel. We just pick up where we left off when things calm down. I also love the gentle, Charlotte-Mason-style teaching of Joseph Hoffman. He is so positive and teaches very complex concepts in such a clear and simple way, kids feel confident they can play. That has been very important for my eight-year-old. Here is a video of my daughter playing Lesson 41 (we’ve been using the lessons for a little more than a semester). I am so pleased with the lessons (that my children actually practice), that I plan to continue as long as Joseph Hoffman continues to produce them! He is offering a copy of the supplementary materials for Unit 1 (the first 20 lessons) to one fortunate reader. I hope you’ll enter the giveaway below, will purchase directly, or will listen to the podcast which should answer many of your questions. Do I just need to comment here to enter? On the entry widget itself, click that you left a blog post. That will give you entries. Clearly you enjoy this program, but I am so skeptical. I am not sure I want to pay for it. Do you guys really love it? Holly, just try to the free video lessons from the start. You can get a lot out of them. If you love it, just buy one set of materials to use with them. The videos are always free. I am so excited! I have five kids I want to use this for. Wish I could get more entries but I don’t do twitter and such. Cool alternative. It is expensive! As expensive as lessons are, I think we might try this first. That we we won’t be committed to spending forty dollars a week only to quit because it’s not their thing. I am hoping something like this would work well. My daughter (3yo) loves playing piano, but my son (6yo) really does not. I’ve been looking for something like this! Thanks for sharing the info. I just found this and am considering using it as well. Can you tell me why it’s necessary to buy a family download rather than individual? If the items are PDF couldn’t you just print multiple copies? Thanks! Sure. It’s the honor system and copyright law. We can’t legally copy things without the author’s/publisher’s permission. I hope that helps. I have been looking for a more practical way to teach piano lessons and this looks like a perfect fit! I’ve got 8-year-old twins and a 6-year-old who would be learning so we simply cannot afford private lessons. Great review! So glad, Cindy. It’s such a fantastic resource! 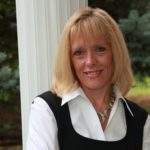 Karen, the lessons teach playing first, but do the best job of teaching the reading music of any curriculum I’ve seen. She was just beginning and was more self-conscious when I shot that video. I think you’d be very pleased with this curriculum. I’m confused. 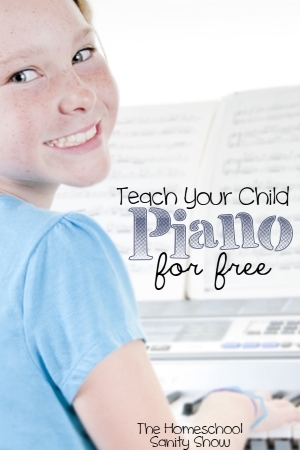 Why does it say “Teach Your Child Piano for FREE” if it is a curriculum that you have to purchase? And you didn’t receive 20 FREE video lessons with Unit III, you purchased 20 lessons for $29. Did I misread something? Maybe you just didn’t catch it. The video lessons are 100% free. The printed curriculum is optional. 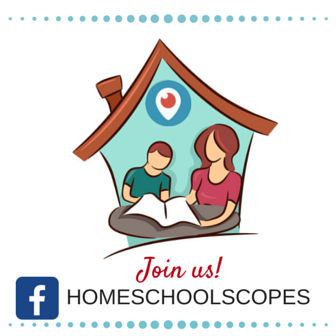 Your child will learn a TON just from watching the free videos and practicing with them. I should mention that I do not make a commission from Hoffman Academy. I just love the materials. Even when my children took paid lessons ($25 each), I had to purchase song books that were more expensive than the curriculum you can purchase from Hoffman. Hope that makes it clearer. How can i enroll my kids in this piano academy? You can just have them watch the videos available for free at the site. If you would like to purchase the materials that supplement the lessons, you can also do that at the site. Hope they enjoy it! Curious, would this be something that would work well for an adult? Are the materials that you pay for geared more towards kids or would an adult benefit from them too? I’ve been wanting to learn to play the piano but with 3 kids, I have zero time to commit to actual scheduled lessons. Bonus would be that hopefully my son will start to learn with me. You can use it as an adult if you work through the lessons quickly. It’s pretty slow-paced, but you will learn how to read music using this approach. Has the podcast been taken down? 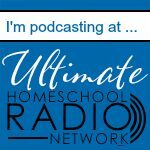 I wanted to listen to it and went to the Ultimate Homeschool Radio Network link but don’t see a “download” or “listen” button there. I’m not sure if it’s been archived or not, Angela. If it’s put back up, I will let you know. Thanks for alerting me to this. Angela, it should be available now. It was just a problem with a new podcast player. Thanks again for letting me know. I very much like the blog, and the subject, but “Teach your kids how to play the piano for free” is clearly a misnomer if there is a charge for the videos..
Hi, Jess. The videos are free. Printed lessons are optional and are available at a very reasonable cost. My daughter has completed her 1st year exam with the Royal Conservatory – she’s 10 but needs some more ‘fun’ lessons now. Is there a way to buy a more advanced level and how do I know what to buy? That’s a great question. Contact Hoffman Academy directly with that and I’m sure they can advise you.